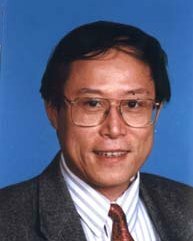 Rochester Condensed Matter experimentalist professor Yongli Gao was awarded a bridging fellowship to the Department of Biomedical Engineering for Fall 2007. Only one Bridging Fellowship is awarded in the College in each academic semester. Professor Gao's fellowship is intended for him to pursue a new research direction in experimental biophysics, in particular biological membranes and their interactions with enzymes, proteins, peptides, drugs, sterols and other organic entities. In addition, Gao will be modernizing and updating PHY253, Biological Physics and teach it in Fall 2008. The University Bridging Fellowship, established in 1985, releases a faculty member from regular departmental obligations for one semester to allow them to move to another part of the University for the purpose of learning aspects of another discipline. The Fellowships are designed to: 1) enable faculty to develop new approaches to research interests, or to strike out on a new research direction; 2) stimulate the formation of new research teams; 3) facilitate the development of new courses; and 4) prepare faculty for affiliation with an existing or emerging interdisciplinary curricular or research center.